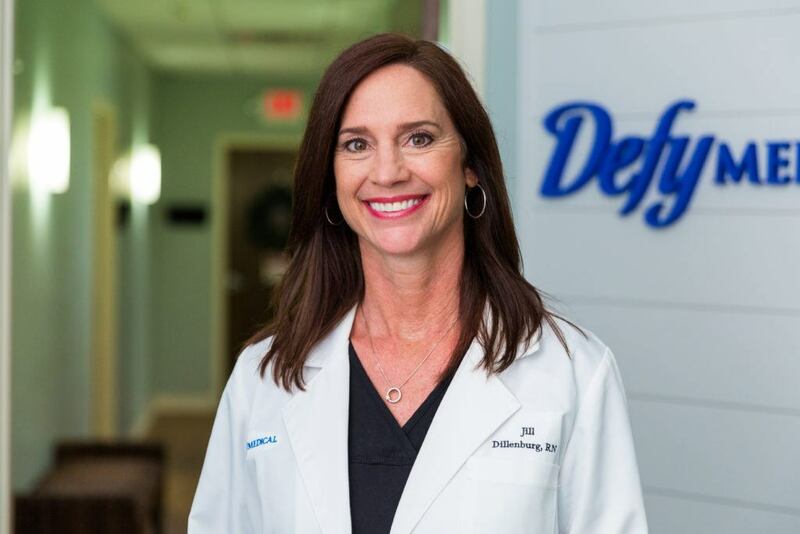 Two Stories Media worked with Defy Medical, a leading concierge medical practice which focuses on both preventative and restorative therapies, based in Tampa, Florida. 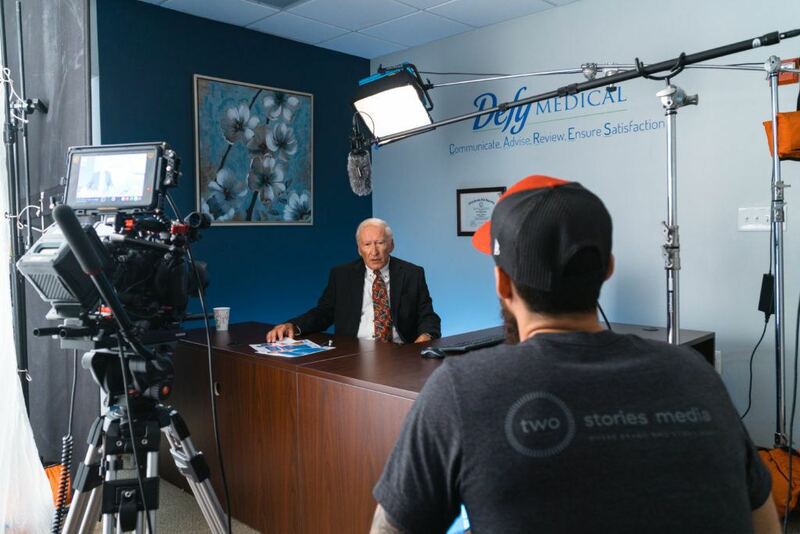 Defy was in need of a variety of production services, including commercial photography, headshot photography, and commercial videography, to enhance their brand and marketing strategy. 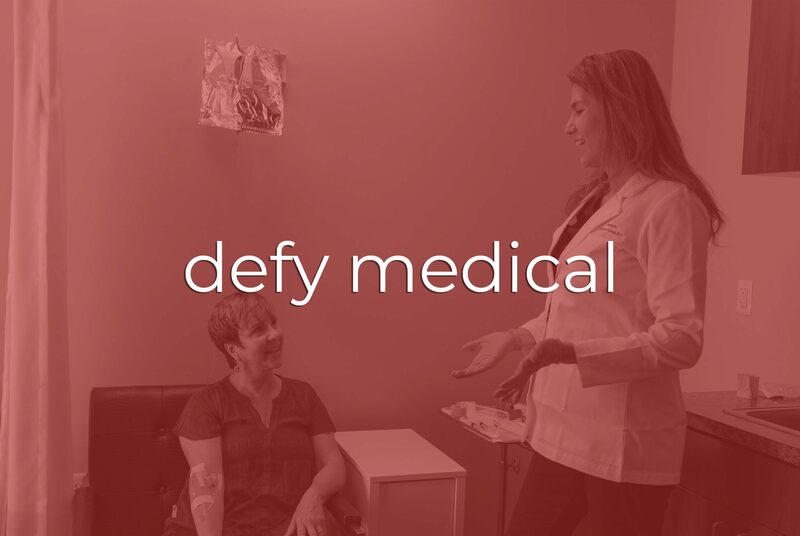 Defy Medical works with patients and doctors, so it was important for them to not disrupt their normal business practices for multiple days in a row. We worked with them through a very detailed pre-production plan. Pre-production took nearly an entire month with an email chain that was 55 emails long. Organizing a full crew, 9 doctors, various rooms to be vacant and storyboarding 41 videos takes time. The production was three days long and spread across six weeks, further adding more variables to work through. So, what did these production days look like? The first day was photography heavy along with us conducting several of the interviews necessary for most the videos. Day two was primarily b-roll with some additional interviews. Subsequently, day three was exclusively training videos that took place in 2 different rooms. All 3 days took place at their facility in Tampa. Each day we had a full crew of a director, cinematographer, gaffer, grip and production assistant. 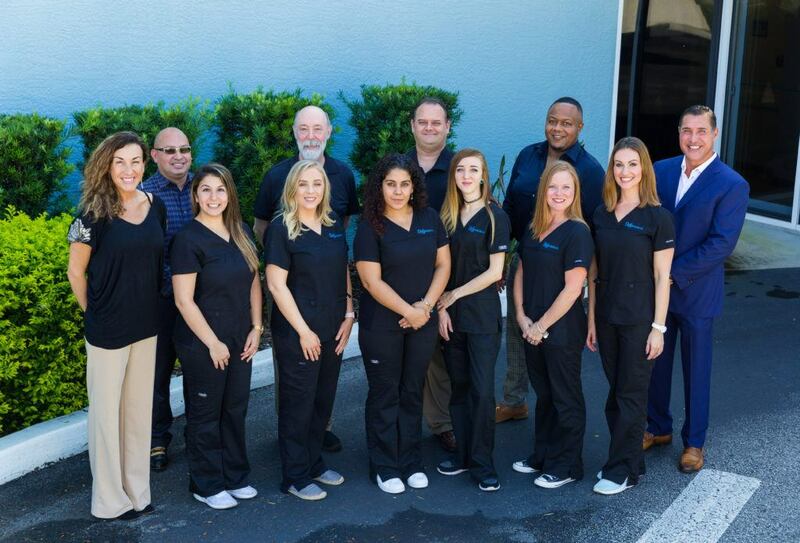 It was imperative we moved gear smoothly throughout their building, creating as minimal of a distraction to their employees as possible. In the end, Two Stories Media completed 41 videos, 13 headshots, 15 group photos, and 71 facility photos. Now, comes the post-production process. Approvals and rewrites happen, especially when it’s such a large production. But, Defy was patient and had an open line of communication throughout post-production. Editing began immediately after day one of production. After day two of production, the photography was fully edited and delivered within a few days. 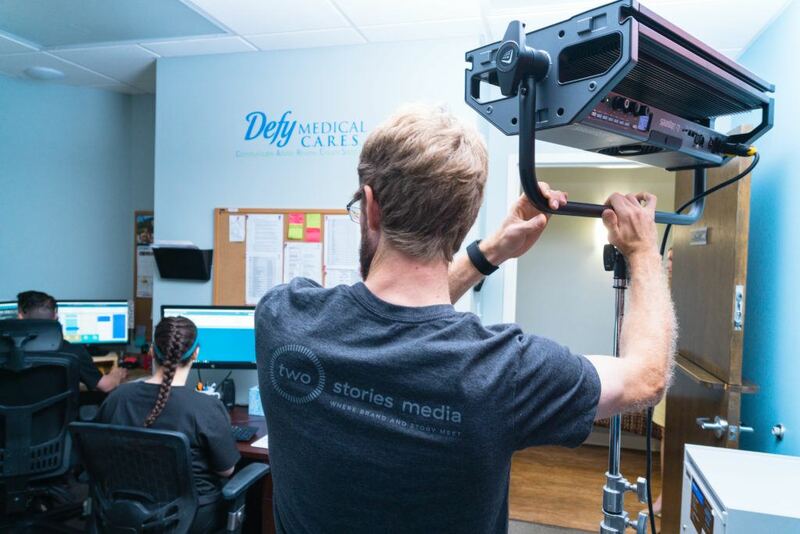 We wanted to make sure we continued to deliver content so Defy could work in the photos and videos to their marketing strategies immediately. We delivered the final video to them roughly 6 weeks after the final production day; thus, ending a project that, from the start of pre-production to final delivery, took 4 months. Check out the photos and video below for a sample of the final products.